Running in Barbados. 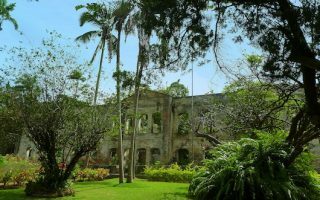 Best routes and places to run in Barbados. Barbados is a small island country and British commonwealth nation in the eastern Caribbean. The country’s west coast is dotted with white sand beaches and turquoise water, while its east side, on the Atlantic Ocean features a more rugged coastline and is famous for surfing. The interior of the island is hilly. Finding a good spot to run in Barbados can be a challenge, owing to the heat, narrow roads, and lack of major multi-use paths. But there are some good spots to run in the more visited parts of Barbados, from lovely beaches to nice coastal roads, plus some challenge along the pastoral roads of the hilly interior. 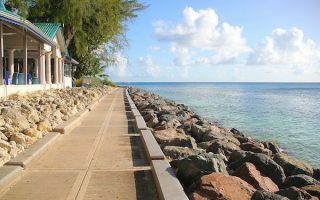 Some of the best places to run in Barbados include our ‘runseeing’ tour of the charming capital of Bridgetown, and nearby South Coast Boardwalk, and another boardwalk run in the Holetown area. There’s some nice running near Speightstown and around the Port St. Charles Marina as well. 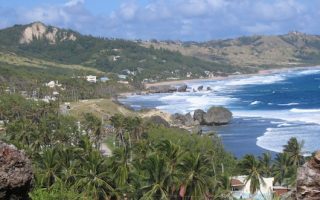 On the quieter east coast, view the pounding surf while running along East Coast Road and around Bathsheba. In the St. Lucy area, create your own route along the quiet country roads where the terrain is more open. For some hills, we recommend the path up to Cherry Tree Hill Reserve, combined with the lovely grounds of St. Nicholas Abbey. Good beach running can be had on Rockley Beach/Accra and on the west coast, and on the almost seamless Cattlewash/Walkers/Morgan Lewis Beach on the West Coast. 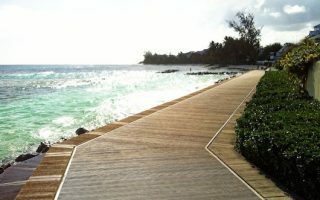 A couple of notes about running in Barbados: Driving is on the LEFT side of the road, so be sure to look right; it can be very hot during the day, so go early or hydrate; sunset is fairly uniform throughout the year due to location near the equator; and most roads don’t have a shoulder or sidewalk. 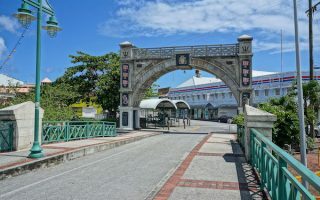 An 11.5 km tour of historic Bridgetown, including its major sites. Waterfront sections out to Pelican Craft Center, the Bay St. Esplanade south the Needhams Point, and an optional loop around historic Garrison Savannah. Pleasant, flat coastal running between Rockley Beach and the Needhams Point lighthouse. Combination road and boardwalk, with nice water views in parts. It's 5 km out and back. Add 1.5 mile around the Garrison Savannah. 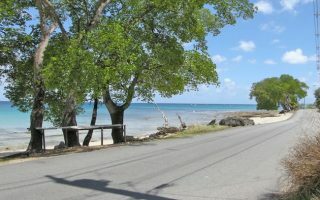 A nice off-road running opportunity near Holetown, the boardwalk goes for 2.5 km Sandy Lane Beach, north to Heron Bay. Some sections are boardwalk, others are on the beach. Great water views, lovely beaches, tropical vegetation. Some very nice waterfront running in the Speightstown area. Roads along the water, a jaunt around the Port St. Charles marina, and a quiet waterfront road out to Half Moon Fort. Create your own route on the quiet roads in the St. Lucy area. A series of unnamed, fairly narrow roads between Highways 1B and 1C offer good rolling hill terrain. No shoulder/sidewalk but not trafficked. Good running on the coastal road on Barbados' more rugged east coast. Quietest section is ~1.5 km from Bathsheba Park heading north, but very runnable and pretty as far as Lakes Beach. A challenging 12 km loop featuring interesting sights and great views, on generally quiet roads. 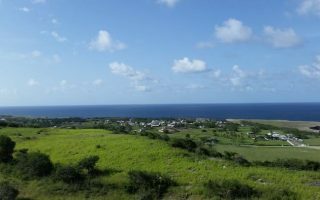 Pass the Morgan Lewis Windmill, Cherry Tree Hill Reserve, St. Nicholas Abbey, and Farley Hill National Park. First 3 km is a steep climb! The best bet for running on the southern coast is the 5 km out and back along a waterfront road from Miami Beach to just past the South Point Lighthouse. Quiet road, occasional water views. Decent side streets for additional mileage. 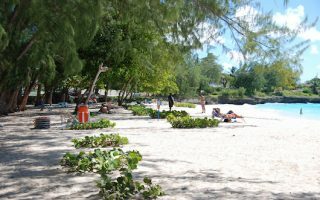 The best bets for beach running on Barbados are Rockley/Accra and Worthing Beach on the West Coast. 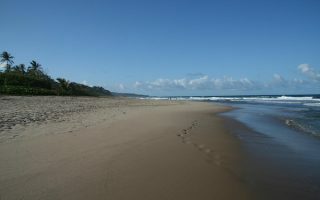 On the more rugged East Coast, Bathsheba/Cattlewash/Lakes Beach, and then Walkers/Morgan Lewis Beach go for several km. 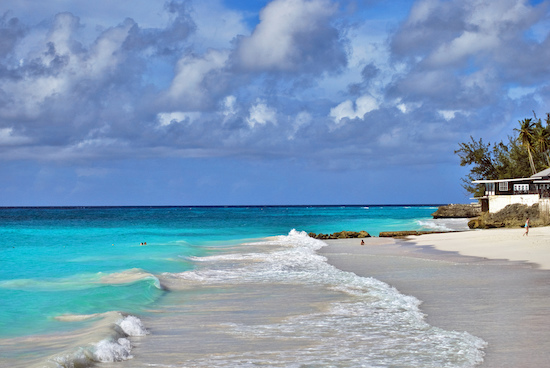 Barbados has warm to hot temperatures year round, with average highs from the high 20s to low 30s Celcius (84-90F). Nights are warm, slightly more so in summer. There are also distinct drier and wet/humid seasons, with July through November receiving the most rain — a thunderstorm being a near daily occurrence. It is also much more humid in summer. Note that wind can be a factor when running in Barbados. Your best bet for running gear on is Sports and Games, which is centrally located in Bridgetown. The first weekend in December is a major running weekend in Barbados, anchored by the Barbados Marathon and several other road races and events. It’s organized by RunBarbados.